WEG, a leading global manufacturer of motor and drive technology, will showcase its latest automation technology at this year’s SPS IPC Drives (in Nuremberg, Germany, on 22nd to 24th November). Highlights at WEG’s booth – Stand 250 in Hall 3 – include new soft starters, medium-voltage Variable Speed Drives (VSDs) and compact circuit breakers that are designed to deliver increased uptime and efficiency to a wide range of industrial and commercial applications. 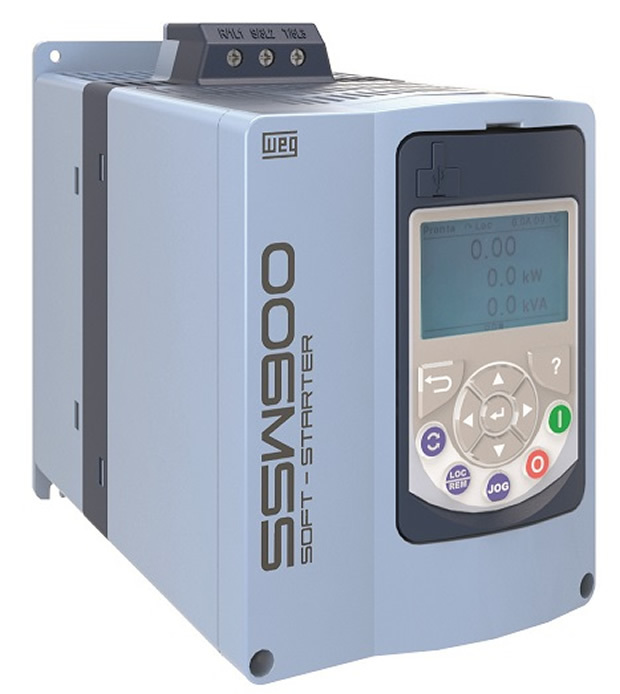 WEG’s SSW900 compact soft starters are high-performance top-end devices with integrated PLCs that provide fully programmable algorithms for regulating induction motors. They feature an integrated bypass contactor for longer service life, optimal space utilisation and lower heat dissipation in the switchgear cabinet. The MVW3000 VSDs have been designed to meet a growing demand for medium-voltage devices in Europe. They are built with multilevel technology and Cascaded H Bridges (CHB) to enable users to achieve medium-voltage levels simply by using standard cost-effective low-voltage components (diodes, IGBTs and plastic film capacitors). WEG is also expanding its DWB series of compact Molded Case Circuit Breakers (MCCBs) with three additional case sizes for output currents from 800 to 1,600 A. The circuit breakers provide flexible, cost-effective and reliable protection for power distribution systems as well as for motors and generators in commercial and industrial applications, particularly in panel building. For more information on WEG’s energy efficient drive solutions come to Stand 250, Hall 3, at SPS IPC Drives 2016.